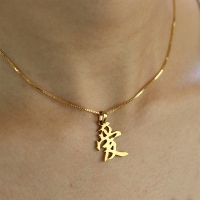 Click here for Greek letters virtual keyboard and paste name here. 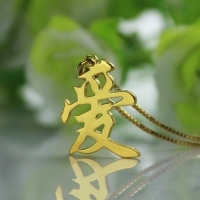 Hooks*: -Select-Single HookDouble Hooks What is Hook? 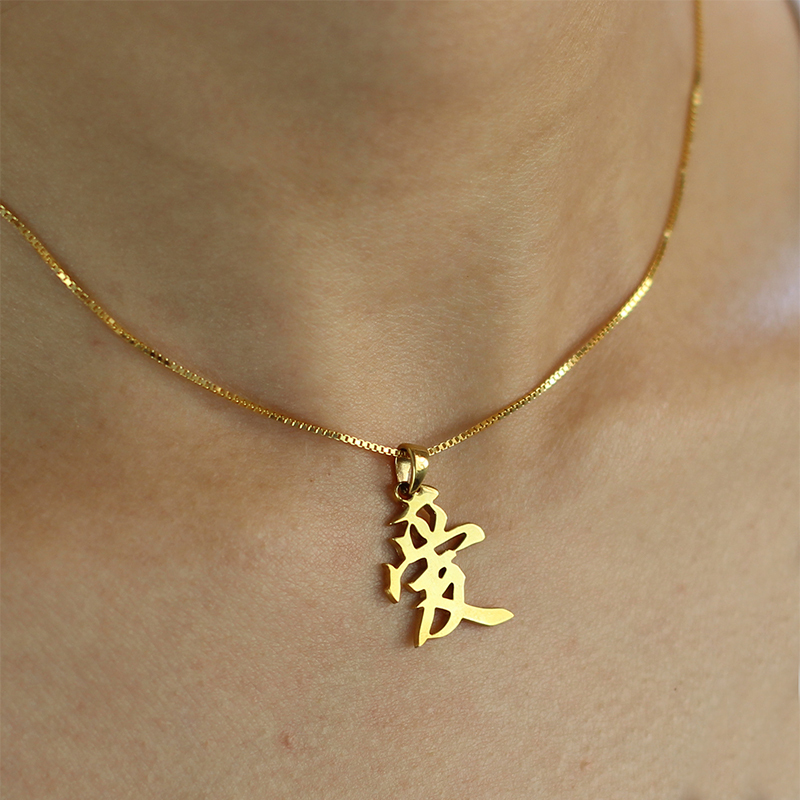 Hand cast sterling silver silhouette-style charm of the Japanese/Chinese kanji symbol for "love". 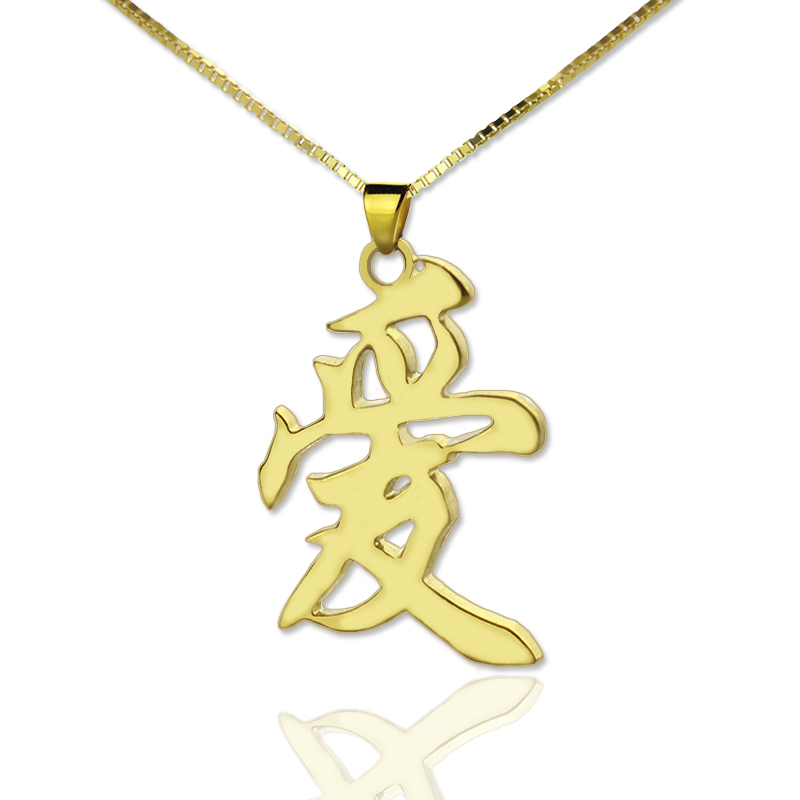 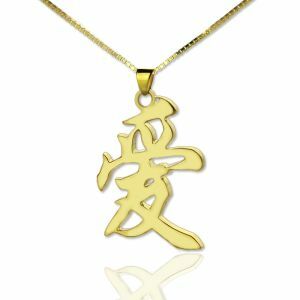 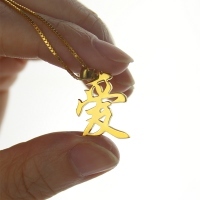 In both Japanese and Chinese it is pronounced "ai"
Our necklace is fully customized with your name in Chinese characters, it will distinguish you name from others, and give you exotic Far East appeal.Also it will make a perfect gift for anyone you love.